Reebok Classics is bringing some heat from back in the day. 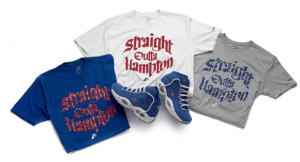 The shoe game has been crazy these days and Reebok is making sure that you check out their “All-Star” lineup. Reebok has been working with Shaquille O’Neal, Shawn Kemp, and others to have sneakerheads salivate. Here are few of their most recent and upcoming releases that make you want to purchase a Starter jacket and parachute pants…..well maybe not the pants. The first ever cross training shoe to feature Pump technology, the Reebok Classic Pump Pay Dirt was originally released in 1992 as part of the Preseason pack worn by NFL and MLB greats alike. Tough enough for the field with enough style for the street, the Pump Pay Dirt OG remains one of the most durable kicks in the game with an armor-like cage surrounding the upper, a mid-foot strap, speckled midsole, and Classic Pump technology for a custom fit. The Reebok Classic Pump Pay Dirt OG was released back on August 8th. Back in July the Shaqnosis OG black/white colorway was released. Reebok has been bringing many different color variants of the show and the “Steel” version pictured here will be released August 28th. A shoe designed for a “larger than life” player both on and off the court, the Shaqnosis had a truly polarizing look for arguably the most visible guy in the game. At the time, Reebok knew that the Shaqnosis was a ‘‘love it or hate it’’ model, and the brand fully embraced the controversy the shoe evoked. 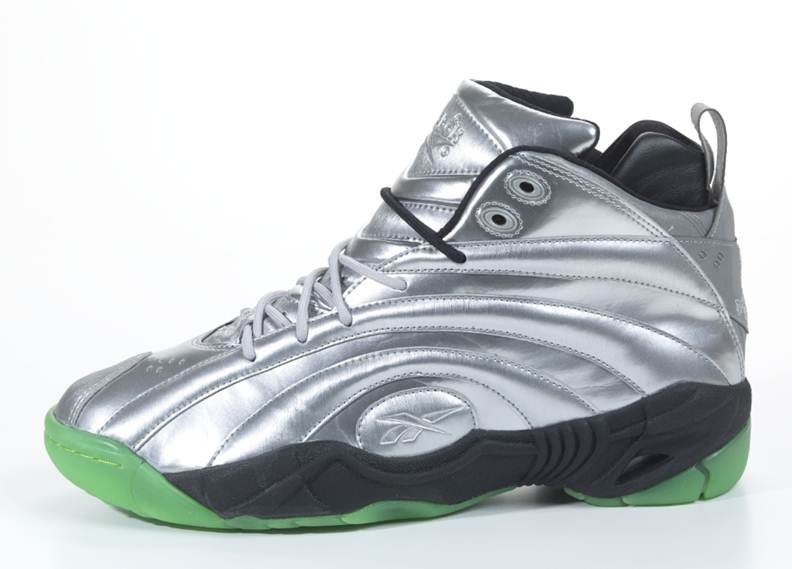 The energy behind the Shaqnosis was so strong that it led to a spin-off collection called Mobius. 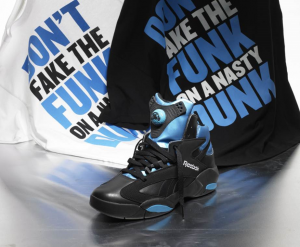 The Mobius line played off the Shaqnosis inspired 50/50 black/white split, making it the ideal statement look on the basketball court or baseball field. 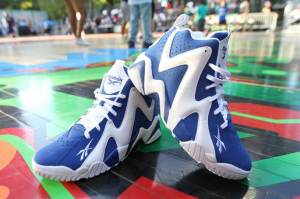 Other styles in the Mobius collection included The Big Hurt with baseball great Frank Thomas and The Blast with basketball icon Nick Van Exel. 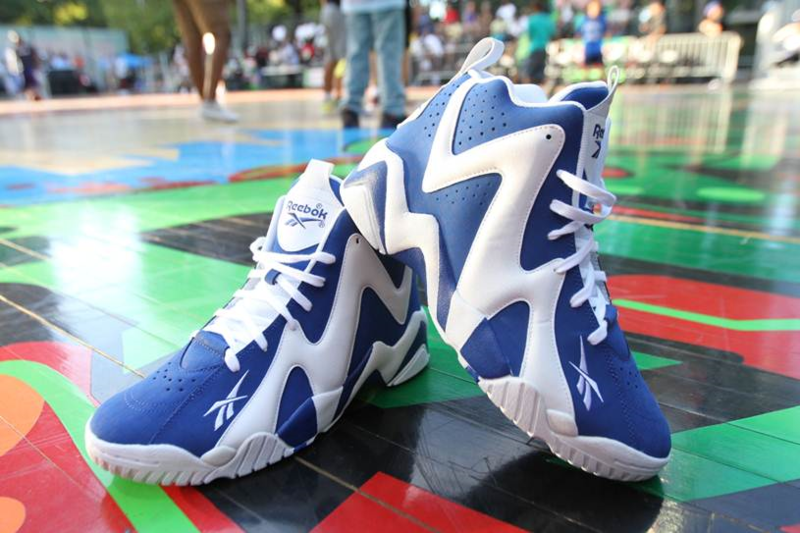 One of the most exciting hoops stars of the ’90s is celebrated with the release of the Reebok Kamikaze II. These stylish kicks were once worn by Supersonics player Shawn Kemp and many of the same design details, including the distinctive lightning/zigzag design on the upper, remain in this new release. While these basketball sneakers are stylish enough for everyday wear, they also feature the performance details you need to take the court by storm. Lightweight Hexalite cushioning in the forefoot and Ultra Hexalite in the heel help to absorb shock and protect your feet, while the mid-cut design gives you ankle support and plenty of freedom of movement. These were released this past weekend and are as sick as ever. In one of the deepest drafts in NBA history, a 6-foot guard from Georgetown rose to the top of his class in ’96. Despite the high expectations that would follow, Allen Iverson’s rookie of the year performance proved he was worthy of the #1 selection. Reebok Classic honors this historic moment with a fresh treatment on Allen Iverson’s signature rookie year model, the Question Mid #1 Draft Pick. 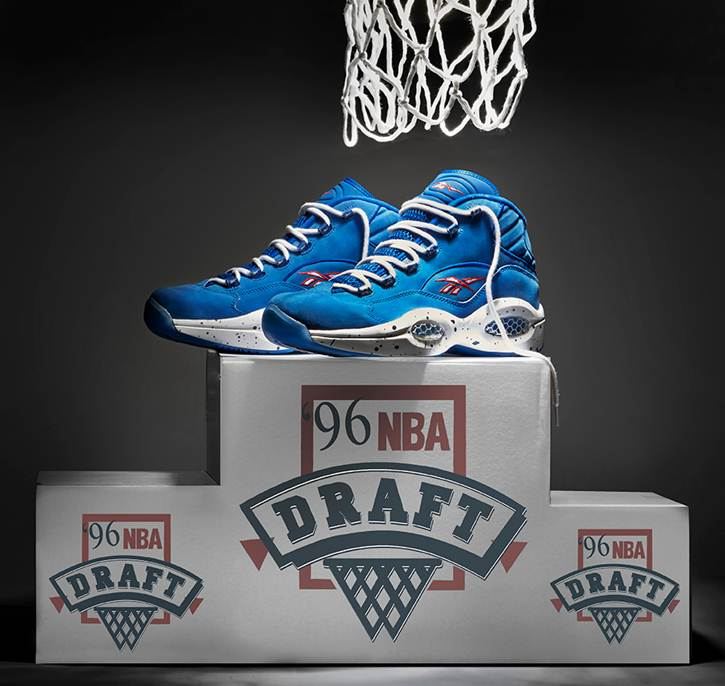 Featuring a blue suede upper and speckled white mid-sole, the Question Mid #1 Draft Pick pays tribute to Iverson’s career in Philadelphia with a nostalgic royal/white/red treatment reminiscent of the ‘90s Sixers uniforms. The customary “3” that adorned the Question Mid during Iverson’s rookie year is replaced with number “1” to commemorate the Sixers selection of the Georgetown guard. The Reebok Question Mid #1 Draft which hits stores on Friday, August 23rd. Back by popular demand for the first time since 1992, the Reebok Classic Shaq Attaq. Rarely seen on court, this lesser known Shaq Attaq colorway is essential for sneakerheads and basketball fans alike. Originally released as an “away” colorway to complement Orlando’s black and blue pinstripe uniforms, the latest Shaq Attaq features a black upper with an azure blue accent on the heel. 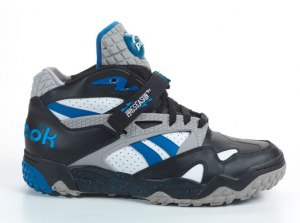 The Reebok Classic Shaq Attaq will make its return to shelves on August 30th for $160. Print article This entry was posted by Art Eddy III on August 18, 2013 at 7:27 pm, and is filed under Lifestyle. Follow any responses to this post through RSS 2.0. Both comments and pings are currently closed.